When renewing a green card after an arrest or criminal offense, be aware that U.S. 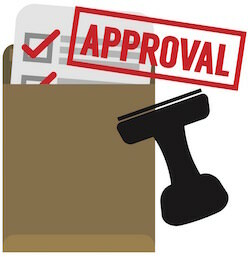 Citizenship and Immigration Services (USCIS) will review the record of the permanent resident. There are several crimes that can be deportable offenses. And some criminal offenses do not require a conviction to trigger inadmissibility or deportability for an immigrant. When renewing or replacing a green card, these crimes will be revealed to USCIS. Each time a permanent resident files Form I-90, Application to Replace Permanent Resident Card, USCIS requires the applicant to pay for and undergo a criminal background check. The way that USCIS treats these crimes has also changed over the years. Therefore, a crime that was not a deportable offense 15 years ago could be a deportable crime now. It is very important that anyone with a criminal record understand their situation before filing for a green card renewal. 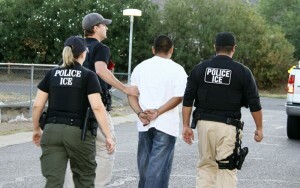 An arrest should not stop a permanent resident from renewing or replacing a green card. In fact, there is a legal obligation for a permanent resident over 18 years of age to carry a valid (unexpired) green card at all times. For practical reasons, a valid green card is needed for obtaining employment, traveling abroad and even renewing a driver’s license. Avoiding the problem won’t make it go away. Approximately one month after filing Form I-90, the applicant will receive an appointment notice by mail. The notice provides the date, time and location to appear for a biometrics appointment. The biometrics appointment is relatively short, only about 15-30 minutes, and is used to obtain the permanent resident’s fingerprints and photograph. The data is used to create a new green card, but it is also used to run a criminal background check. USCIS will send the applicant’s name and fingerprints to the Federal Bureau of Investigation (FBI). The FBI will check the information against databases held by numerous law enforcement agencies. USCIS will be able to determine if the applicant has any crimes or immigration violations on his or her record. Anyone that believes they may have a criminal record should contact an immigration attorney before filing for the green card renewal. An attorney can obtain a copy of the applicant’s arrest record first and help him or her through the process. The Immigration and Nationality Act (INA) contains an extensive list of deportable crimes. It’s not as simple as saying that a felony will cause a green card holder to be deported. This is only a summary. To understand whether a felony constitutes an “aggravated felony” requires the assistance of a qualified and experienced attorney. The term “aggravated felony” is used and defined in the Immigration and Nationality Act, but it can be very misleading. In many cases, the INA’s definition of aggravated felony includes crimes that are not aggravated and are not felonies. People who have been convicted of misdemeanors, or of other crimes that were not charged as felonies in their state, have been found to have committed an aggravated felony and been deported. In immigration law, an aggravated felony is defined much more broadly than in most state’s criminal laws. The definition is found in Section 101(a)(43) of the Immigration and Nationality Act, or Section 1101(a)(43) of the U.S. Code. an attempt or conspiracy to commit an aggravated felony. An overview of aggravated felonies is also available from the American Immigration Council. Any conviction for a controlled substance violation (crimes involving drugs or drug paraphernalia), with the exception of simple possession of less than 30 grams of marijuana, is potentially grounds for denial of a green card renewal and can start removal proceedings. Even if the state considers the violation a misdemeanor, immigration law treats it differently. And although possession of less than 30 grams of marijuana is not grounds for denial of a green card renewal and removal, it can result in inadmissibility. A permanent resident that travels abroad may be found inadmissible when attempting to re-enter the United States. The permanent resident should speak to attorney before traveling to determine if a waiver of inadmissibility may be necessary. In certain circumstances, expunged and vacated convictions may be treated as convictions for purposes of immigration. The simple act of renewing a green card after an arrest can expose serious problems for the applicant. Understand how your arrest may (or may not) affect your immigration status. 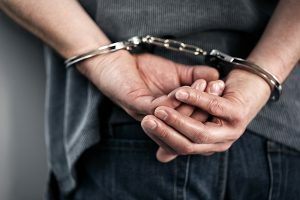 Regardless of the type of crime, anyone with an arrest should consult with an experienced immigration attorney before filing any USCIS immigration form. CitizenPath provides simple, affordable, step-by-step guidance through USCIS immigration applications. Individuals, attorneys and non-profits use the service on desktop or mobile device to prepare immigration forms accurately, avoiding costly delays. CitizenPath allows users to try the service for free and provides a 100% money-back guarantee that USCIS will accept the application or petition. We provide support for the Green Card Renewal (Form I-90), Citizenship Application (Form N-400), and several other immigration services.